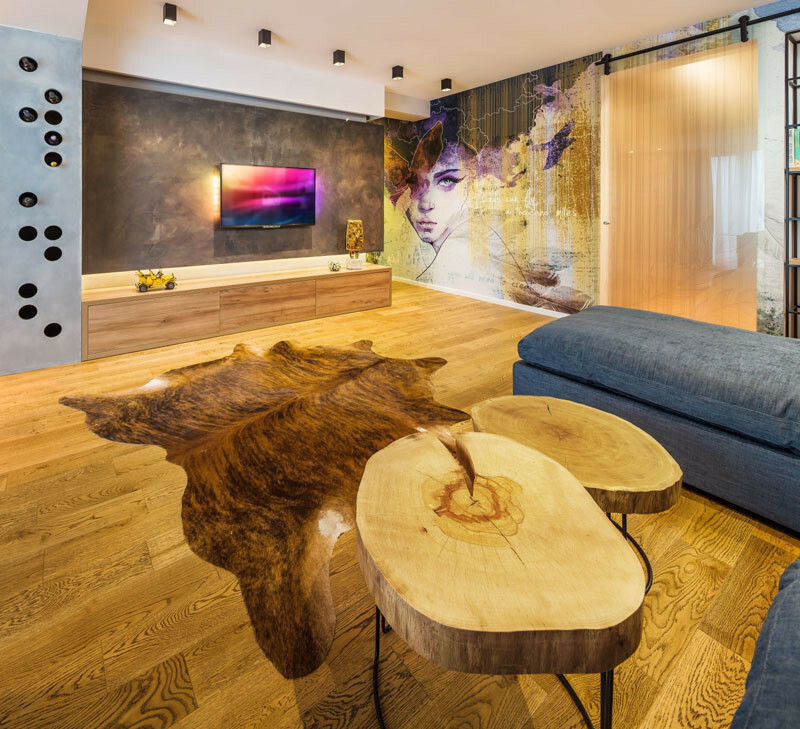 STUDIO3PLUS have designed an apartment for a young couple in Bucharest, Romania, that features a large wall mural. 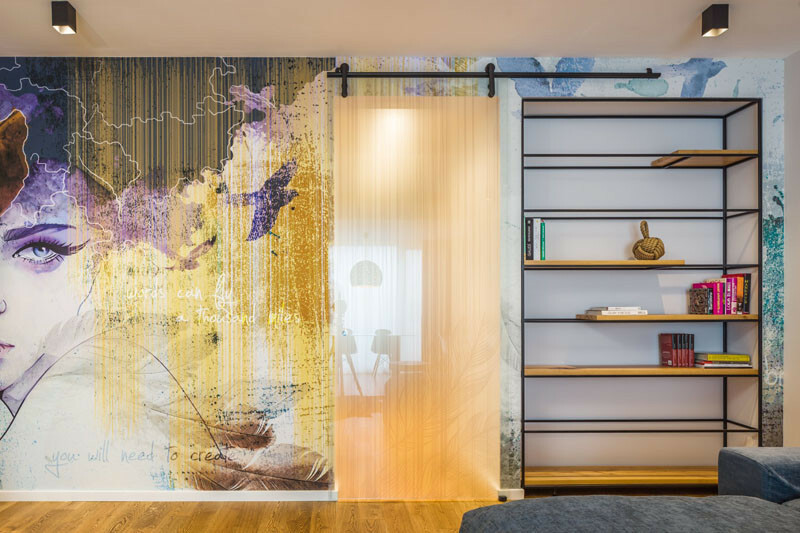 The large wallpaper mural, that runs the length of the hall and living room, was designed by the homeowner. 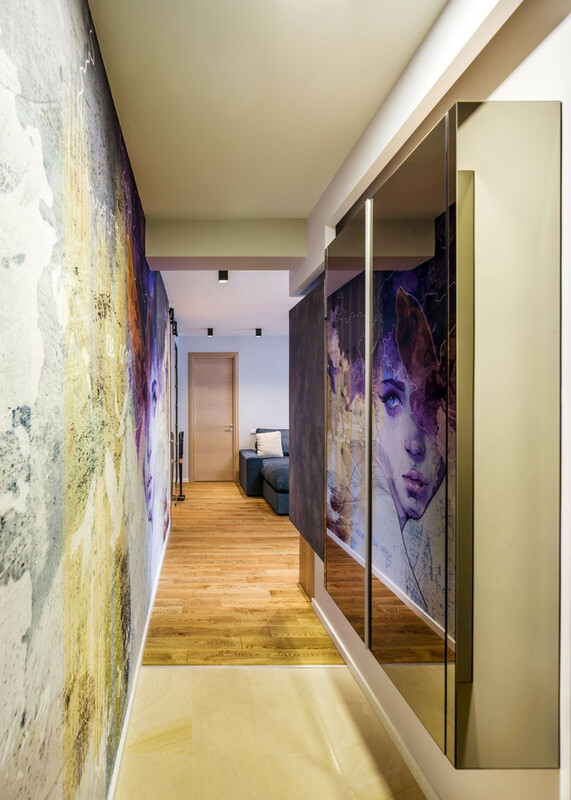 The mural can easily be seen from the living and dining areas. The shelves, as well as the coffee tables, were made by the client from wood recovered from a veneer mill. 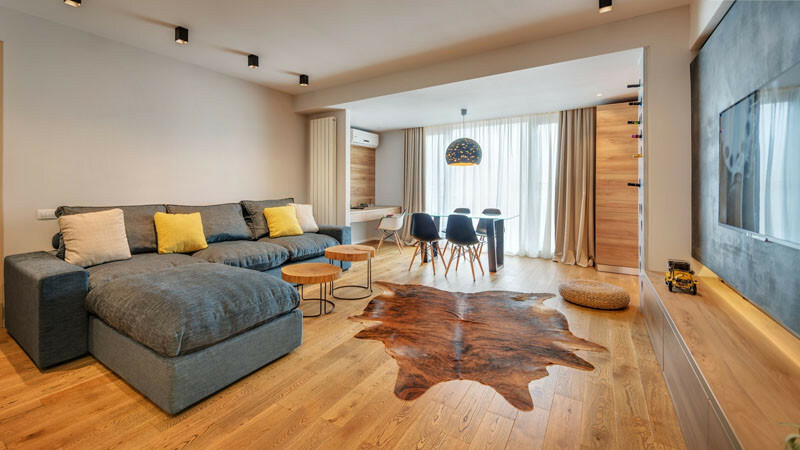 A small home office and dining table are tucked away between the living room and kitchen. 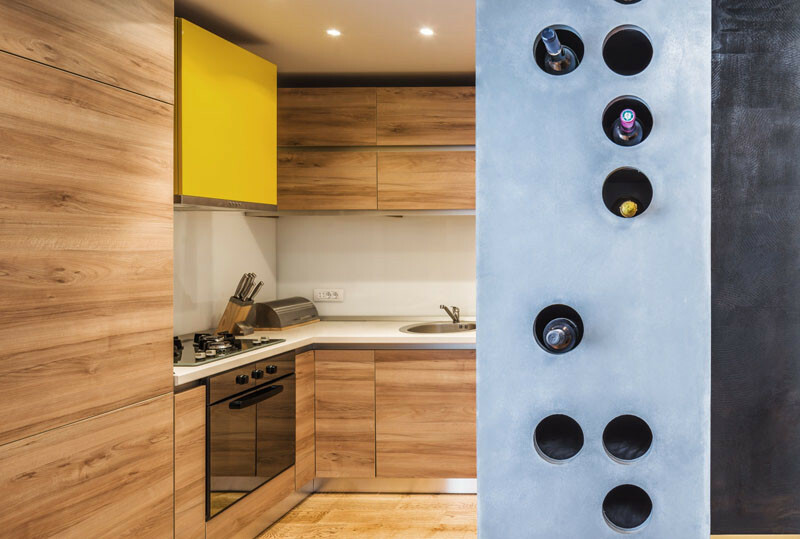 A custom designed wine holder has been included by the entrance to the kitchen. The mostly wooden kitchen is brightened up with the addition of a yellow rangehood. 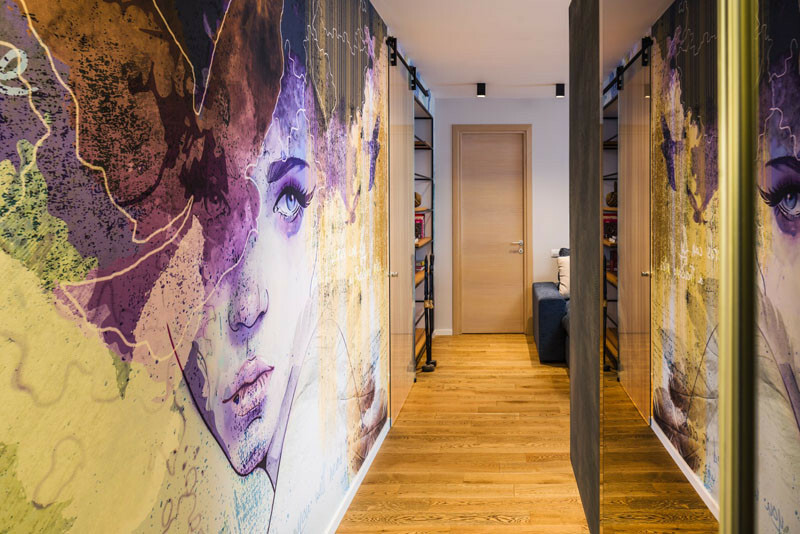 Back out by the living area and next to the mural, is the entrance to one of the bedrooms. 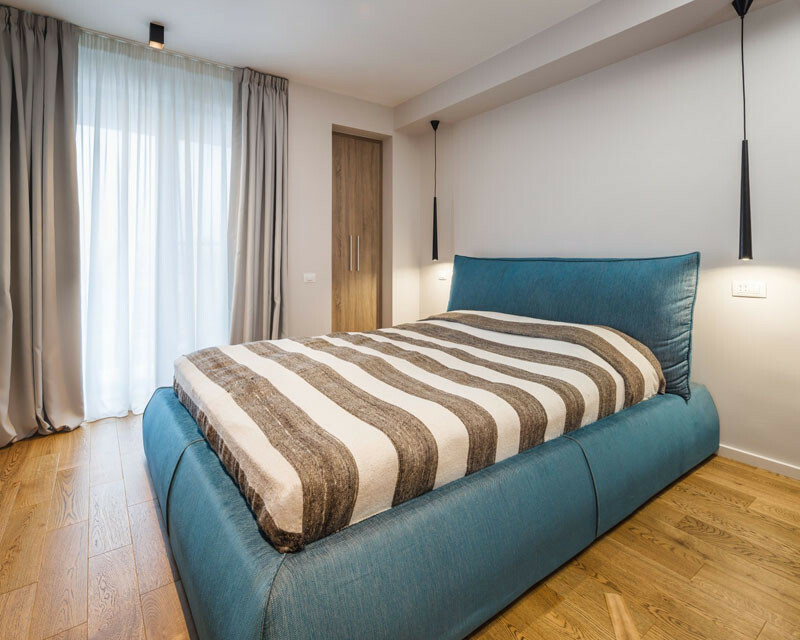 Pendant lamps hang beside the bed, instead of side tables and table lamps. 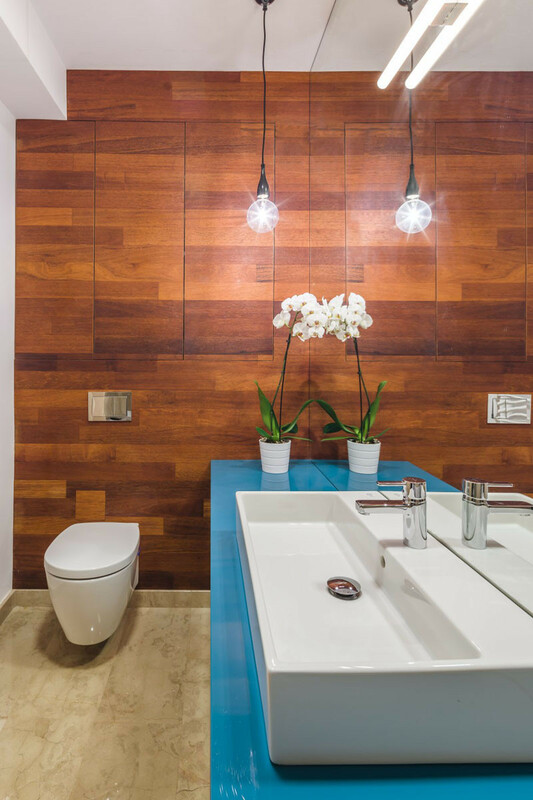 In the bathroom, a wood feature wall conceals additional bathroom storage.